Desmond MacCarthy, the only child of Charles Desmond MacCarthy (1832–1895) and Louise Jeanne Wilhelmine de la Chevallerie (1854–1938), was born at Plymouth on 20 May 1877. He spent his childhood in Leeds, and went on to attend Eton College (1888–94) and Trinity College where he read history. While at the University of Cambridge he was elected to the famous undergraduate society known as the Apostles. Other members included E. M. Forster, Roger Fry, Bertrand Russell, George Edward Moore, G. M. Trevelyan, Robert Trevelyan and Goldsworthy Lowes Dickinson. He graduated in 1897. MacCarthy's father died while he was at university and inherited about £150 a year. This enabled him to write without worrying about sales. After the death of their father, Leslie Stephen in 1904, his daughters Virginia Stephen and Vanessa Stephen moved to Fitzroy Square, Bloomsbury. Their brother, Thoby Stephen, introduced them to some of his friends that he had met at the University of Cambridge. The group began meeting to discuss literary and artistic issues. The friends included MacCarthy, Clive Bell, John Maynard Keynes, E. M. Forster, Leonard Woolf, Lytton Strachey, David Garnett, Mary MacCarthy, Duncan Grant, Arthur Waley and Saxon Sydney-Turner. On 29th August 1906 MacCarthy married Mary Warre-Cornish, the daughter of Francis Warre Warre-Cornish. In 1906 MacCarthy become the drama critic for The Liberal Speaker. Over the next few years he became a strong supporter of the plays written by George Bernard Shaw. Some of these reviews appeared in his first book, The Court Theatre (1907). He also edited The New Quarterly. It lasted for three years and published significant work by Bertrand Russell, George Edward Moore and Roger Fry. 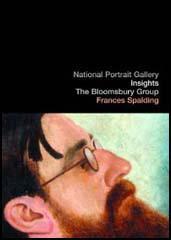 In 1910 MacCarthy and two other members of the Bloomsbury Group, Roger Fry and Clive Bell, went to Paris and after visiting "Parisian dealers and private collectors, arranging an assortment of paintings to exhibit at the Grafton Galleries" in Mayfair. This included a selection of paintings by Pablo Picasso, Henri Matisse, Paul Cézanne, Édouard Manet, Paul Gauguin, André Derain and Vincent Van Gogh. As the author of Crisis of Brilliance (2009) has pointed out: "Although some of these paintings were already twenty or even thirty years old - and four of the five major artists represented were dead - they were new to most Londoners." 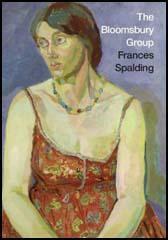 This exhibition had a marked impression on the work of Duncan Grant, Vanessa Bell and Spencer Gore. In 1913, George Bernard Shaw suggested to Sidney Webb that MacCarthy to become the drama critic for The New Statesman. During the First World War he served with the Red Cross and then joined naval intelligence. On his return he worked as literary editor of the journal. This involved bringing in Raymond Mortimer and Cyril Connolly as reviewers. MacCarthy began speaking on books for the BBC in 1927 and over the next twenty-five years he broadcast hundreds of popular talks. The next year he succeeded Edmund Gosse as the principal reviewer for The Sunday Times. According to his biographer, Stanford Patrick Rosenbaum: "In 1928 he started Life and Letters, a general literary monthly underwritten by another patron. MacCarthy's involvement lasted until 1934, and in the course of his editorship he published work by Butler, Russell, Max Beerbohm, Hilaire Belloc, Thomas Hardy, Aldous Huxley, Virginia Woolf, Clive Bell, and many others. MacCarthy had a wide literary and social acquaintance, and his charm as a sympathetic conversationalist (rather than a talker, for he was not a monologist) was legendary." Over the years Desmond MacCarthy started several novels and biographies but none of these were completed. MacCarthy admitted that high standards and indolence had blighted his career. The only books MacCarthy produced were collections of journalism. Collections of reviews appeared as Criticism (1932), Experience (1935), Drama (1940), and Shaw (1951). Desmond MacCarthy was knighted in 1951 and died in a nursing home in Cambridge of pneumonia on 7th June 1952.